Although widely celebrated for his paintings, Seco interestingly began his career as a writer. Despite being only 20 years of age and already having received highly prestigious grants and awards, he began to discover his true calling was elsewhere. One day while having lunch with a friend, he drew an impromptu sketch of the Christ figure on a napkin. Within the rough outline, his friend could see the natural artistic talent that Seco already encompassed and invited him to study the Nicolaides Method, the natural way to draw. By the age of 30, Seco had made the decision to leave writing and devote his life to his love for painting. In viewing Seco’s masterful use of dark hues and light, his work is often reminiscent of such greats as Goya and Toulouse-Lautrec, while yet preserving his own unique vision as an artist. His most extensive body of work, which involves the Los Angeles Philharmonic, has been widely acclaimed as some of his very best. His paintings are both gestural and bold and display an emphasis on the accuracy of the figure that often makes them as lyrical as the musicians themselves. In working with the symphony, Seco initially drew sketches of the artists during rehearsals at the Dorothy Chandler Pavilion. He later confined himself to his studio and while listening to classical music, skillfully recreated the musicians’ romantic, energetic, and often intensely chaotic movements into stunning imagery on canvas. Seco’s documentation took place in 2003. 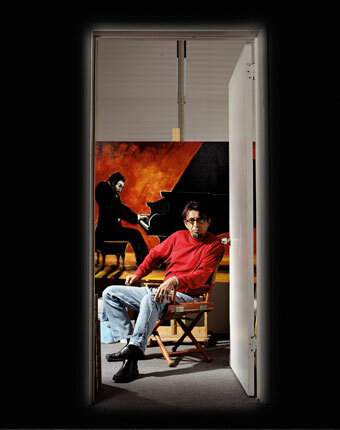 The FOTM Archive contains extensive information about this artist.